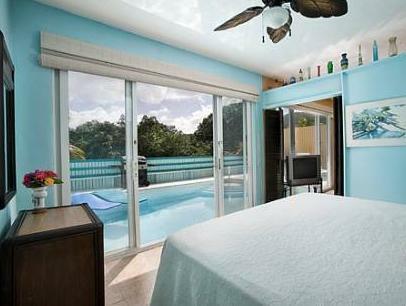 ﻿ Best Price on Pavilions and Pools Villa Hotel in Saint Thomas + Reviews! Set overlooking St. Thomas’ Sunsi Bay and 200 metres from the beach, Pavilions and Pools Villa Hotel offers villas with private pools. The complex features a restaurant serving Caribbean cuisine. 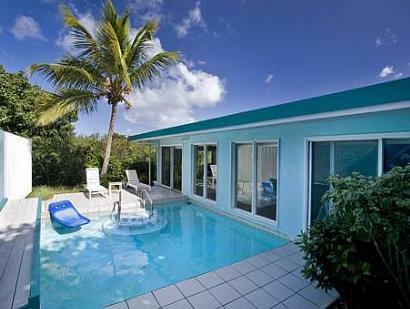 Each spacious villa has bright décor, air conditioning and a seating area with satellite TV. The kitchen comes with a fridge, microwave and coffee maker. The poolside terrace has sun loungers and a barbecue. Shops, bars and cafés can be found within 500 metres of the complex. The nearest golf course is just 3 km away, while Cyril E. King Airport is 11 km away. Coral World Marine Park and the Mangrove Lagoon are a 10-minute drive from the villas. You can also visit the island's capital, Charlotte Amalie, and historic Hassel Island.